IONIC TECHNOLOGY FOR HEALTHY SILKY HAIR: gives your hair a smooth, silky, natural lustrous look by retaining hair moisture more and reducing frizziness. 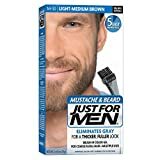 It gives you natural healthy silky looks rather than flat burnt look. AUTOMATIC TURNING OFF FUNCTION FOR SECURITY: Hair Straightener comes with convenient automatic turning off feature to provide extra security. It turns off automatically after 30 minutes of idle time. 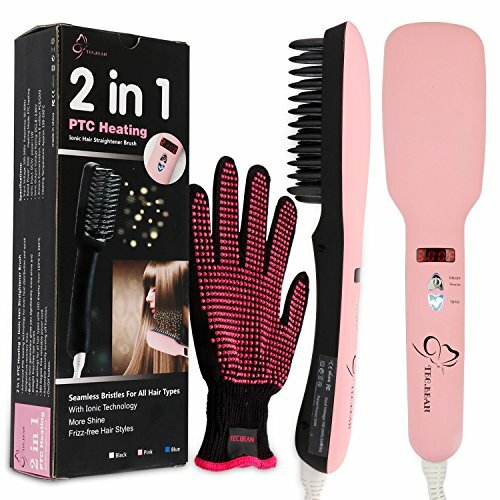 PTC HEATING TECHNOLOGY FOR QUICK SALON QUALITY RESULTS: the hair straightener brush warms quickly in less than one minute to desired temperature setting, with Positive Temperature Coefficient (PTC) technology, significantly reduces overall straightening, hair styling time compared to conventional hair straighteners. MONEY-BACK GUARANTEE: you're protected by a 360 day, no-questions asked money back guarantee and world class personal customer service! Are you ready to make your hair smooth, shiny and heath in a simple and easy way? No time wasting, No burning on your hair, No pain No hurt to your scalp and hands, No fatigue at Salon......TEC.BEAN hair straightener brush will let your dream come true! You can experience gorgeous sleek salon hair styles every day at home, in hotel or anywhere you want. Advanced ionic technology, with Ionic generator produces enough ionic strength to make your hair silky, smooth and frizz-free. With Positive Temperature Coefficient (PTC) technology, the hair straightener brush warms quickly to desired temperature setting, reducing heating response times resulting in reduced straightening, hair styling time compared to traditional hair straighteners. Put your worries away. The cord is nice and long. It rotates so it doesn't get tangled.